Most restaurants are considered a success if they last a decade. Well, here’s longevity for you: Lamb’s Grill celebrated its 93rd business birthday recently. Greek immigrant George P. Lamb opened Lamb’s Grill on George Washington’s birthday, Feb. 22, 1919, in Logan. In 1939, Lamb’s relocated to its current location in the Herald Building in downtown Salt Lake City, where the eatery has remained largely unchanged since. Some would say the food is unchanged too—especially those who love Lamb’s classics like grilled calf liver, trout Amandine and chicken-fried steak. (But where did the Finnan haddie go?) So, hearty congratulations are due to this one-off downtown institution and its well-earned staying power. 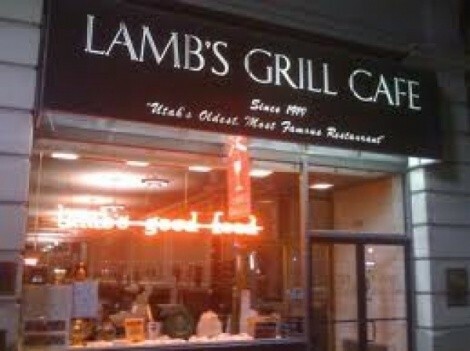 For more information, visit LambsGrill.com. Here’s a first—to my knowledge, anyway. Utah now has its first cafe-deli specializing in New York-style popovers, the aptly named Pop On Over Cafe (1098 W. South Jordan Parkway, 801-253-0272). Owned and run by New Yorker Johnny Martin and his family, Pop On Over Cafe features popovers (light, hollow rolls made from egg batter) baked fresh daily, including breakfast popovers and “pop-wiches,” along with classic clam dishes like clams casino, pizzas, calzones, soups, salads and Sabrett Kobe beef hot dogs, direct from Brooklyn. Pop On Over also challenges customers to eat 12 hot deviled-egg halves in 30 minutes—ranging from “spicy” to “stupid hot”—to win a T-shirt and get a picture hung on their wall of fame. Visit PopOnOverCafe.com for more information. Look for the public opening—scheduled for late March or early April—of Caterina (2155 S. Highland Drive, 801-819-7555) restaurant (named for Catherine de’ Medici) in what was the Cucina Nassi banquet and special-events center in Sugar House. Following the closing of his namesake restaurant in Park City, chef Jean-Louis Montecot, born in Normandy, France, is working with Valter Nassi’s Cucina Restaurant Group to transform Cucina Nassi into an upscale French restaurant. Look for classics like coq au vin and tableside flambés such as steak Diane to appear on the menu. Visit Facebook.com/CaterinaSLC for more information.